When I shut my landscape design business down a couple of years ago, I was happy to still have my gardens to tend to. I thought I’d miss having my hands “in the dirt” (both metaphorically and literally), and looked forward to continuing to plant and care for my gardens and containers. But I think a bit of “burnout” ensued, coupled with increasing work/life responsibilities, and more time spent in the Rockaways during the warm weather months. Not as much with my beds – which have totally filled in, just needing the occasional deadheading/cutting back – but definitely with my six big planters. And after years of watching a variety of annuals and perennials that – for one reason or another didn’t make it past a season – I was about to give up. 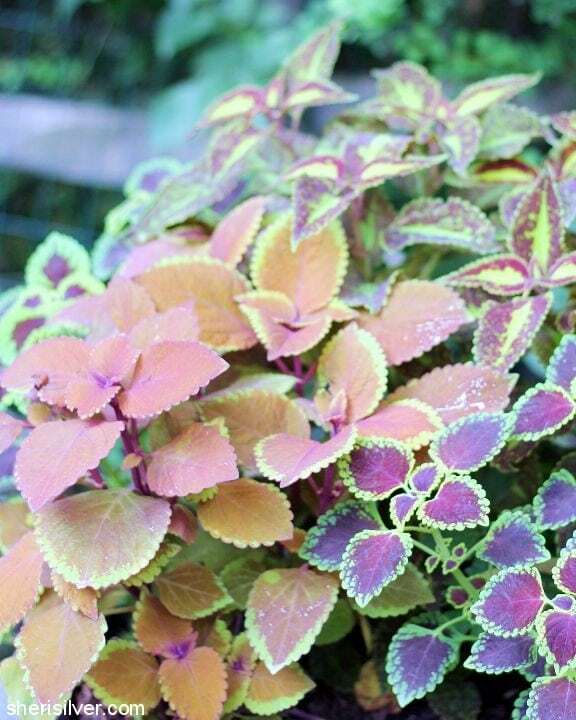 And then I remembered coleus. 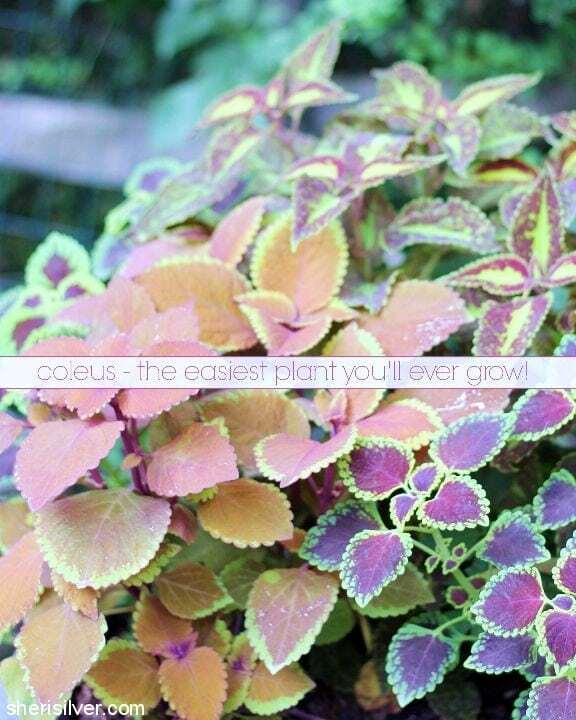 Coleus is THE most easygoing plant you’ll ever grow – for real. The varieties of color, size, habit and even leaf shape are endless. It grows robustly and fills in in a snap. It thrives in shade (though will tolerate some sun). And it needs basically zero care. 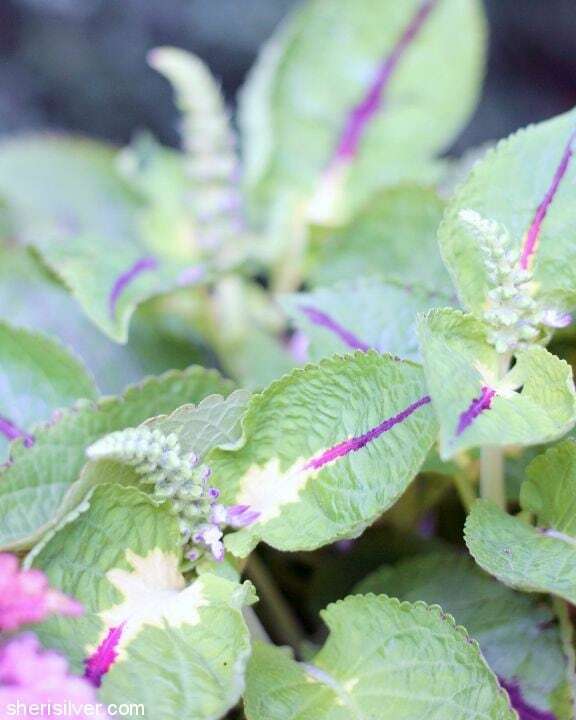 These pictures show how beautifully this little plant works to add instant wow to any bed or container, and keeps going all summer long. The only thing I like to do – to get the most vibrant foliage – is probably something you’re used to doing if you grow basil. 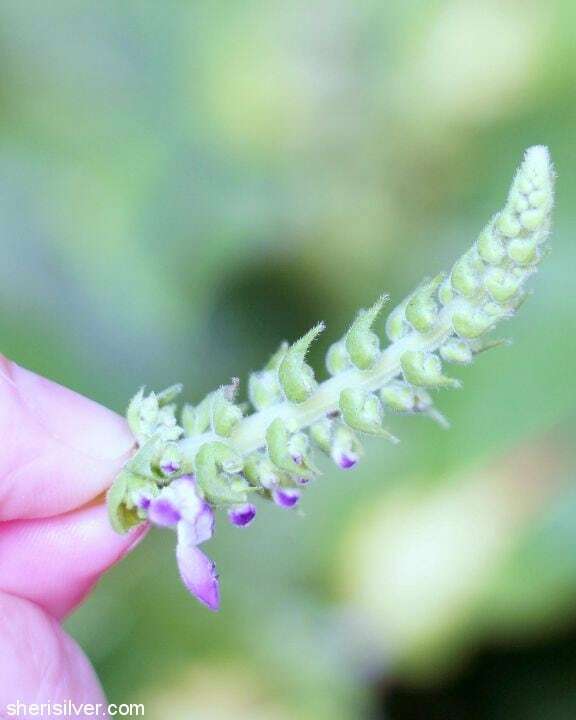 You know how you pinch the flowers of your basil plant – to encourage more leaves to grow? 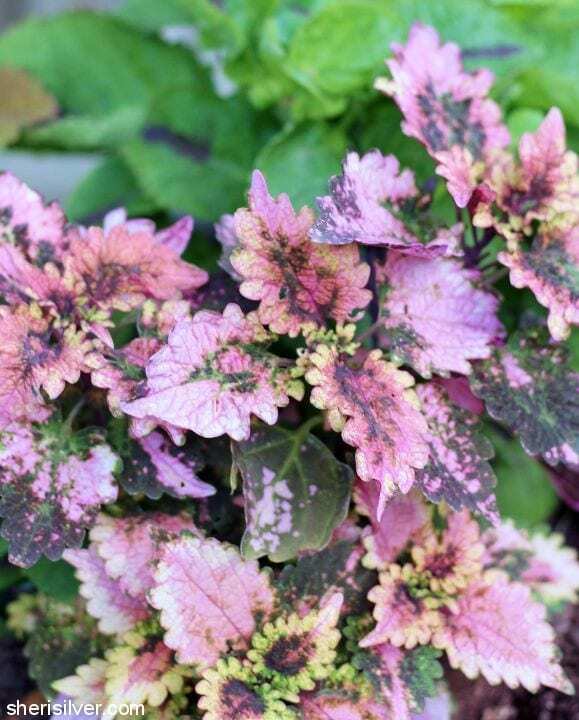 Same with coleus. As soon as you see the flower buds, simply pinch them off with your fingers. You’ll get more foliage growth and the leaves themselves will be brighter and more vigorous. The reason for this is that the plant – when the flowers are removed – can focus all of its energy on the leaves. 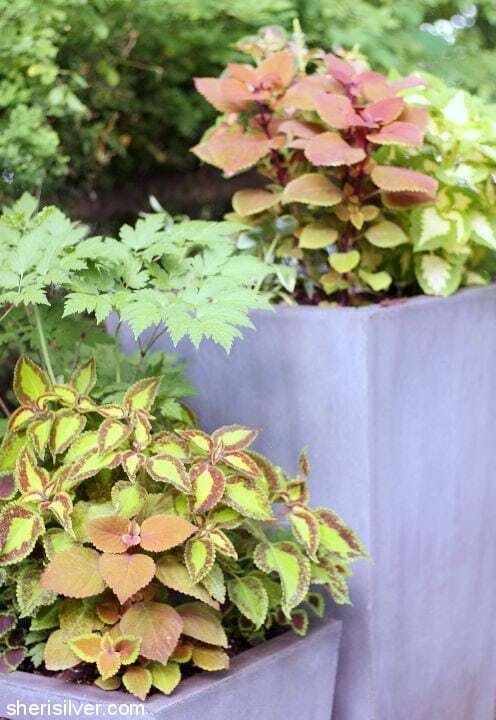 Feel free to pinch the whole plant down if it’s getting out of control for your planter – doing this will cause more side growth, and a bushier plant as a result. A truly maintenance-free plant – that keeps on going all season long? Yes, please! Check out my Gardening Pinterest board for more helpful articles!